The Men’s Ministry at Corazón aims to connect Hispanic/Latino men in a relaxed, non-threatening environment to talk about God and His purpose for their lives. Men are encouraged to engage in relationship-building through Bible studies, outdoor outreach events and construction ministries. 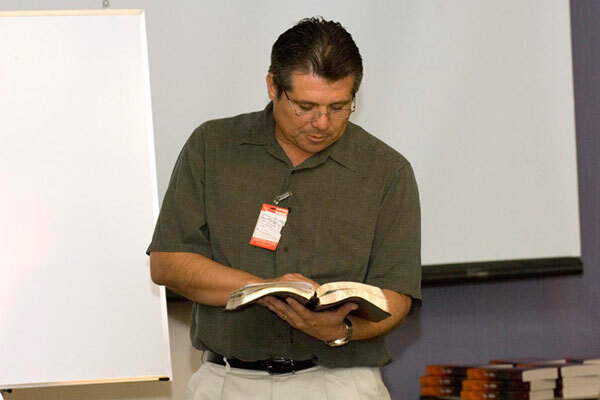 These programs reach Hispanic/Latino men from diverse religious, socioeconomic and cultural backgrounds who are curious about the Bible and how to live the Christian life. Bible studies are held in homes around Tucson and are lead by Corazón Team Members. We offer three different types of Bible studies: Evangelistic Home Bible studies, Discipleship studies, and Leadership studies. Although couples may participate in Bible studies together, men most often study separately from women. All studies are offered in both English and Spanish at various points in time. Monthly, men gather at the Corazón Ministries Outreach & Training Center to share a meal, participate in fellowship and hear a topical study about biblical principles. During these outreaches, men have the opportunity to share what they learned or what spoke to their hearts. Each year, men are invited to a fishing trip held at Hawley Lake in the White River Reservation in Arizona. They spend three funfilled days in May camping, fishing and participating in friendly competitions. Every retreat has a biblical theme which relates to the lives of men. Corazón Team Members share daily devotions including a Sunday worship service. One-on-one mentorship happens when mature believers are matched with men who are seeking a deeper relationship with God. These meetings are centered around scriptures that challenge and encourage men to apply Biblical principles to their daily walk. Meetings are determined between the men and their personal schedules.